Spot On Maids professional Warren cleaning service will ensure that your cleaning needs are adequately met. We bring you the peace of mind that you truly deserve by assigning our courteous maids to handle your Warren house cleaning. We make use of high-quality materials while employing industry best practices to ensure a flawless service delivery. Spot On Maids Warren house cleaning service comes in three different packages which could be weekly, bi-weekly or monthly. Whichever package you decide to go for, there are no hidden or extra charges; you get exactly what you pay for without taking a lucky dip on quality. We pride ourselves on the quality of service we render and this has continued to keep us at the front row of the commercial and residential Warren cleaning service industry. When you only want it to be clean, we go the extra mile to make your world spotless. Providing its cleaning services in the town of Warren, Spot on Maids will take care of all the cleaning needs of your apartment, house, and office. Our Warren-based cleaning services will make sure that your cleaning and housekeeping needs are fulfilled. It does not matter whether you want your house, apartment, condo or townhouse cleaned, Spot on Maids will always provide you with its professional cleaning services. Operating in the town of Warren, Spot on Maids takes pride in serving the customer with the best services. It is great to have clean house in such a easy process. I like their system how they send reminder emails and texts about my next appointment. I really satisfied with their work and calling these guys might have been one of the great decisions I made. We are offering cleaning services at your doorstep in various packages. You can choose from our one-time, weekly, bi-weekly, and monthly packages. 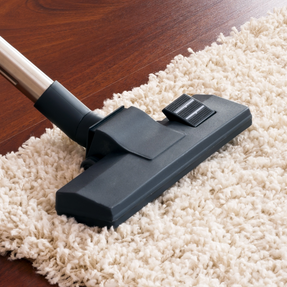 Our highly skilled experts and professional cleaning services will make sure that your place is thoroughly cleaned. We focus on every part of your home including bedrooms, bathrooms, kitchen, store rooms, and other portions of property as per contract. There are no hidden charges, we do not charge even a cent above our stated price. With Spot on Maids at your disposal in Warren, save your time and money. Stop looking for time-wasting processes and estimates. Spot on Maids in Warren will make your life easier by allowing you to give time to the more important things in your life. Our Professional Cleaning specialists are background checked so you don’t have to worry regarding security and privacy. Book your appointment now and benefit from the best cleaning services in Warren.